Snowy mountain winters are being "squeezed" by climate change, according to scientists in California. Researchers who studied the winter snowfall in the mountains there revealed that rising temperatures are reducing the period during which snow is on the ground in the mountains - snow that millions rely on for their fresh water. They presented their findings at the American Geophysical Union meeting - the world's largest gathering of Earth and space scientists. "Our winters are getting sick and we know why," said Prof Amato Evan, from the Scripps Research Institute in San Diego, who carried out the investigation. "It's climate change; it's rising temperatures." Prof Evan studied the annual cycle of snow and melt in the western US from the early 1980s to 2018. He found that the length of time snow is on the ground there is continually "being squeezed" into a shorter period. And the early arrival of summer, he explained, is a driving force behind sometimes devastating wildfires. "Particularly in a place like California where we get all of our precipitation during the winter time, that means that our summers are growing longer," he told BBC News. "And really what that means is our fire seasons are growing longer. "We've got less snow, we've got a longer fire season, we've got infestations [of pests that thrive in warmer temperatures] - these ecological issues; it's a kind of perfect storm of really bad outcomes, which then result in - in some cases - these massively dramatic fires." Donal O'Leary from the University of Maryland who presented his research on what he called the "significant relationship" between between snow and wildfire agreed. Earlier snowmelt, he said, "is leading to more wildfires, particularly in places like the Sierra Nevada in California". Mountain snow is also what millions of people rely on for fresh water supplies - in California, particularly, the reservoirs are refilled by annual snowmelt. Other scientists who have looked at global climate models have seen similar results across much of the Northern Hemisphere. And researchers say this signal from the snowpack is clear evidence that the impacts of climate change are now playing out in the mountains. 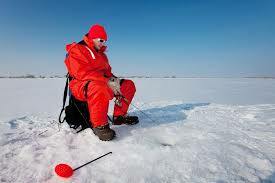 This bloody Yank loves to walk out onto frozen lakes in the northern USA, drill holes, and catch fish!! Alas, the winters have been growing shorter and shorter, so this pastime is likely going to disappear. It was 65 degrees here today (01/05) and our lowest high temp over the next ten days is foretasted to be 45 degrees with most days being around 60! If this holds true we won't have any fruit again this year because our trees will bud out and the next cold spell will kill them! I've spent years planning, planting and caring for these trees. It hasn't been that long ago that the fruit they produced paid our mortgage and filled our pantry with jelly's, jams and preserves. Last year we harvested no fruit and we had so much rain in the spring our trees got fire blight and the garden got powdery mildew. For the first time in years we bought most of our produce from stores and I don't see things improving anytime soon! I just pray we haven't already passed the tipping point! Chuck - I hope you're wrong! Some of the best days of my life were spent sitting on a bucket out on Big Watab lake catching Crappie, Walleye and the occasional trout in temps from 10-20 below! I haven't done it in years but I'd hate to think I never could again! My friend, I cannot remember another Chicago winter as warm as the one we are going through! It is well above freezing, and we are supposed to be in the mid 50's ºF (10ºC) by Wednesday! This portends ill for our ecosystems, as without the hard winter freeze of the past, all sorts of vermin like ticks, wood boring beetles etc. survive and cause havoc in the spring and summer. Friends on AFT, I've worked on climate projects and greenhouse gas mitigation work for over 30 years, and I don't think this is going to end well. Acidification of the oceans is impacting the photosynthesis responsible for most of the oxygen we breath, so how do we prep for scarcity of oxygen?? Be safe, and keep your eyes open for the unexpected = tornados in January, flash floods etc. One of the "trends"is the increase of speed with wich "weather systems" develop. A tropical system can become a cat5-hurricane in 48 hrs. Melt in the (ant)arctic may increase due to extreme winds transporting hot air, warm water/waves and blowing/melting away the snow (wich thus does not become ice). https://www.facebook.com/JoseBarbaNueva has good info. There is a total lack of political will to deal with climate change. At best-in fact-there is some agreement in slowing down the increase of green house gases. Words are not followed by action.